Simon likes a lot of random food. 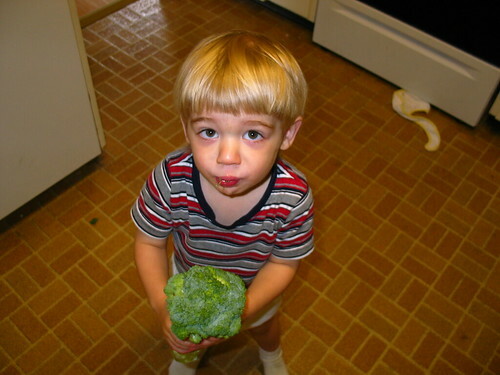 Here he's chowing down on some raw broccoli. He seems to think it's pretty yummy!